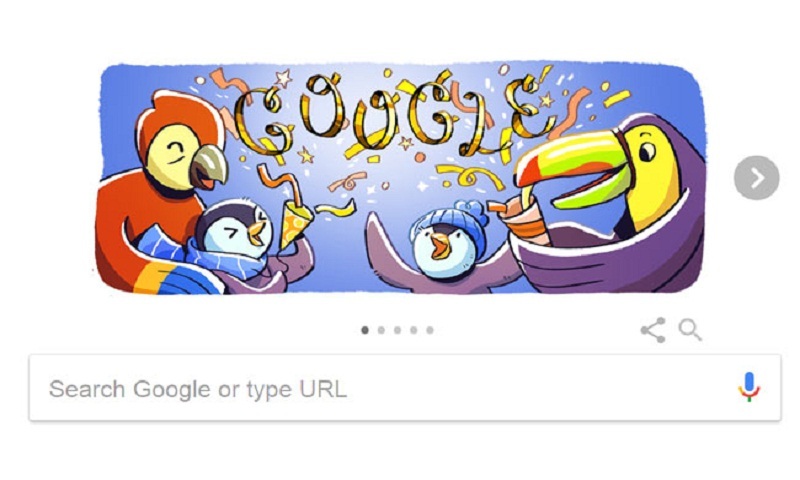 Google celebrates New Year's Eve 2017 on Sunday with a doodle featuring its "feathery friends". As per the Gregorian calendar, New Year's Eve is the last of the year. Celebrated by people all over the world, the celebrations vary across countries and cultures. The search engine celebrated the holiday season with a series of doodles. Since New Year's Eve is a time spent with family and friends, the Google doodle shows the penguins carrying gifts, and meeting and dining with friends. Google celebrated New Year's eve 2016 with a doodle featuring impatient colourful balloons sharing the eager anticipation of counting down to midnight. As the countdown begins, close to midnight on December 31, people get together with fireworks to usher in the New Year. The celebrations are seen across the world, in different time zones, as a promising new year begins.